Find fun things to do in Kauai, HI. View our list of attractions, activities, events, restaurants and visitor information. 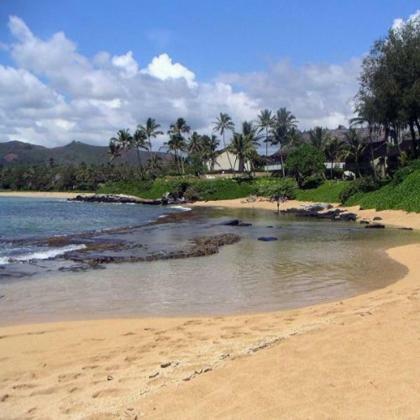 TA-102-760-4480-01 Located in the Royal Coconut Coast these vacation homes offer access to a path to Wailua Bay beaches. 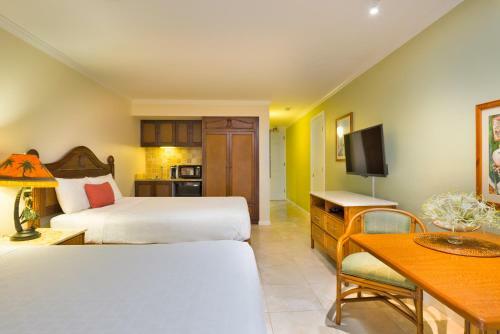 Styled in Asian and tasteful Hawaiian d+¬cor free Wi-Fi boogie boards and towels are included. Free Internet, Non Smoking Rooms. TA-073-659-2896-01 Located in Princeville this upscale oceanfront villa features an outdoor swimming pool and a fully-equipped modern kitchen. Princeville Shopping Center and Princeville Golf Club Prince Course are within 5 minutes' drive. Free Internet,Outdoor Pool. W30277224-01 A stunning oceanfront location fully equipped kitchens on-site dining and complimentary parking entice our guests at Aston at Poipu Kai. Ocean views and tropical gardens give this 70-acre beachfront resort an edge. Free Internet, Swimming Pool,Outdoor Pool, Non Smoking Rooms. W93342214-01 Offering oceanfront rooms equipped with microwaves mini-fridges and PlayStations as well as an outdoor pool with a poolside bar the non-smoking Aston Islander on the Beach is a plantation-style hotel on Kauai's east shore. Free Internet, Swimming Pool,Outdoor Pool, Non Smoking Rooms. 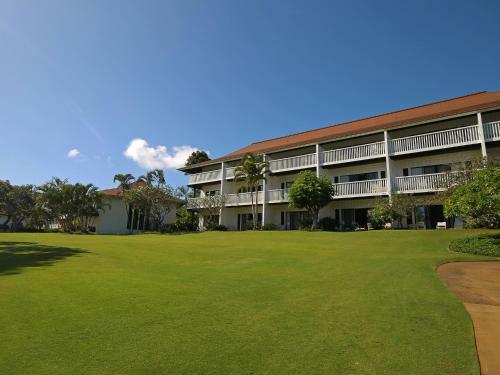 W20210882-01 Offering spacious non-smoking condos with private balconies and ocean views along with tennis basketball and an outdoor pool the Banyan Harbor Resort is a great choice for a relaxing getaway on Kauai.Outdoor Pool, Non Smoking Rooms. 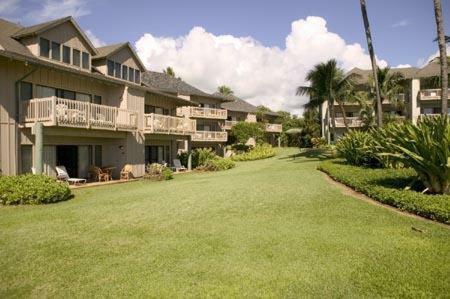 TA-026-501-2224-01 Situated in Princeville Beautiful Kauai Condo features a private pool and free WiFi. This property offers access to a balcony. Swimming Pool,Outdoor Pool, Non Smoking Rooms. Currently as low as $550.00/night! 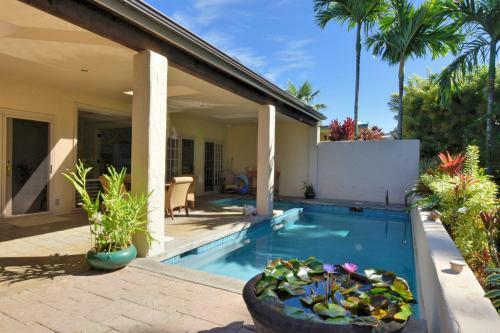 W30385800-01 Featuring an outdoor pool Bird of Paradise home is a detached holiday home located in Koloa offering views of the Pu'u Wanawana crater and the Ha'upu mountain range. 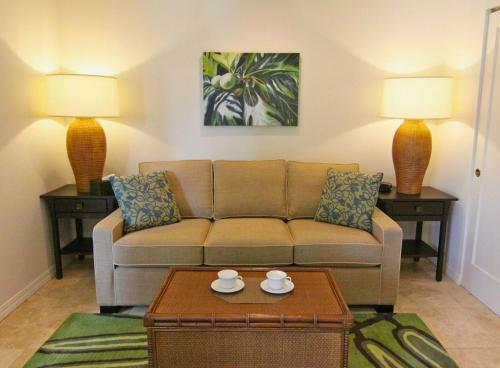 Including free private parking the holiday home is 1.2 km from Prince Kuhio Park. Free Internet,Outdoor Pool, Non Smoking Rooms. Currently as low as $178.50/night! 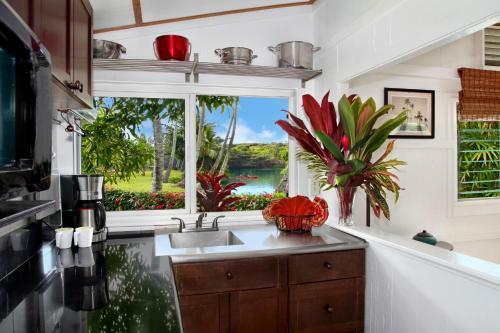 W40969438-01 Furnished condos with fully equipped kitchens and captivating views of Kauai's Hanalei Bay are the hallmarks of the non-smoking Castle at Princeville where upscale lodging come at a surprisingly affordable price.Outdoor Pool, Non Smoking Rooms. Currently as low as $254.25/night! 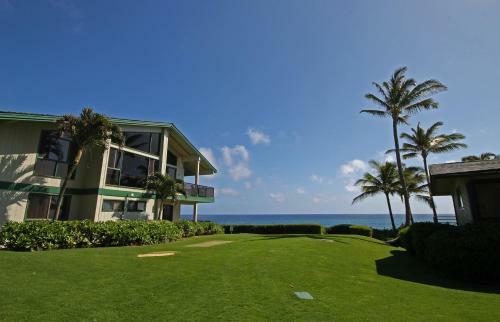 08136628-01 Offering condo-style living on the beach with private balconies ocean views an outdoor pool and tropical gardens the non-smoking Castle Kaha Lani Resort gets high ratings from our guests. Free Internet,Outdoor Pool, Non Smoking Rooms. TA-017-283-8912-01 Close to Waipouli Town Center the non-smoking Castle Kauai Kailani offers two-bedroom suites with garden or ocean views from your private lanai. Swimming Pool,Outdoor Pool, Non Smoking Rooms. Currently as low as $228.75/night! W00673062-01 With self-catering condos on the beach acres of gardens and a large outdoor pool with waterslide Castle Kiahuna Plantation Resort and Beach the Bungalows is the ultimate Hawaiian escape for our guests headed to Koloa. Free Internet,Outdoor Pool, Restaurant, Non Smoking Rooms. Currently as low as $298.75/night! 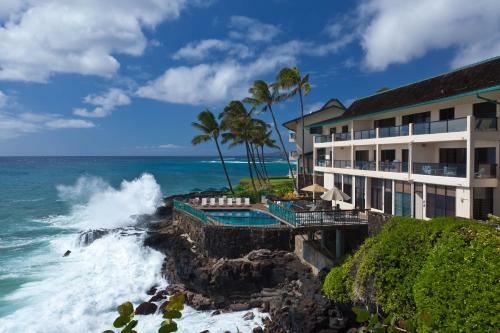 W58979157-01 Spacious non-smoking suites in a dramatic cliff-top location above the ocean plus amenities such as an outdoor pool and tennis courts attract our guests to the Castle Makahuena At Poipu Resort. Swimming Pool,Outdoor Pool, Non Smoking Rooms. W25222883-01 Ocean views from every unit a dramatic oceanfront pool and well-appointed suites are key features of the Castle Poipu Shores on the south shore of Kauai. Free Internet,Outdoor Pool. TA-091-847-0656-02 An oceanfront location an outdoor pool on-site restaurants and an on-site spa make the non-smoking Courtyard by Marriott Kauai Coconut Beach Hotel one of the area's most popular hotels among our guests. Free Internet, Swimming Pool,Outdoor Pool, Restaurant, Non Smoking Rooms. 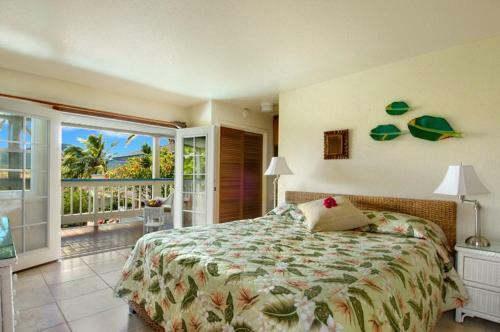 W30609948-01 Set in Mo'loaa Bay this holiday home features a patio steps away from the beach with views of the reef. 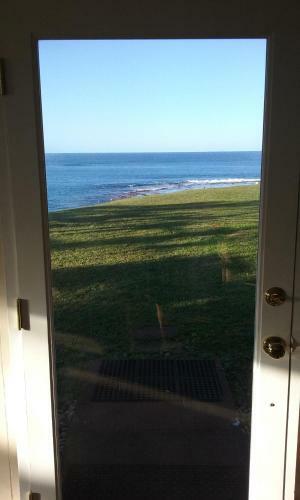 The property features views of the sea and is 9 km from Kilauea Lighthouse. 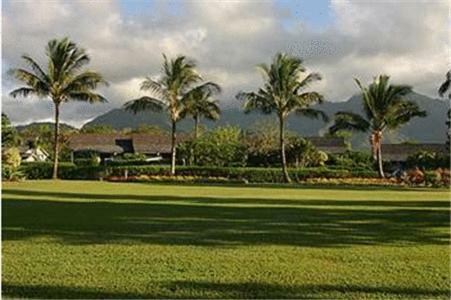 TA-026-614-5792-02 Situated in Princeville Emmalani Court 523 Golf Course View 1 BR provides accommodation with a private pool and private parking. 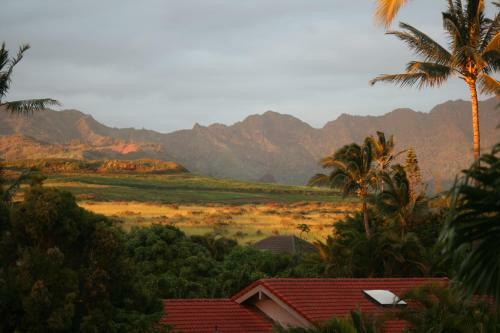 Free WiFi is available in the apartment set 1.4 km from Hanalei Beach Park. Currently as low as $510.43/night! TA-066-612-8384-01 Set 2.3 km from Hanalei Beach and 2.4 km from Hanalei Beach Park Emmalani Villa is in Princeville and has a garden and a terrace. This villa features an outdoor pool and complimentary WiFi. Free Internet,Outdoor Pool, Non Smoking Rooms. TA-193-000-2432-01 Private cottages equipped with free Wi-Fi self-catering kitchens complimentary breakfast and parking plus a location one block from the beach help our guests live like a local at Fern Grotto Inn. Free Internet, Non Smoking Rooms.